"By upgrading to MySQL Enterprise Edition, we can resolve failure issues 10x faster and complete data backup in few hours instead of days. The improved performance also allowed us to quickly deliver new services without additional development of new management functions and support future expansion." DB1 Team, Database Department, IT Service Center, LINE Corp.
LINE Corp is known for its popular communication application, LINE, which enables users to enjoy free messages, voice calls, and video calls anytime, anywhere via their smartphones and PCs. LINE's monthly active user base has now reached 165 million in the top 4 global markets including Japan, Taiwan, Thailand, and Indonesia. With the expansion of its business to other content services, including video, music, manga, and lifestyle services, LINE dramatically increased the number of database instances to 10,000 to support the surge in user demands. However, this created challenges to manage the database running on these servers. LINE wanted to adopt a scalable, enterprise-grade MySQL database to ensure high availability and easy maintenance. Support the growth of new services by improving the database performance and scalability for core business applications, including LINE Family Apps and LINE Messenger, and minimizing the need for in-house development. Enable customers to continuously use LINE services by ensuring the availability and security of MySQL database. Cut the time and resources to troubleshoot system failures for over 10,000 database instances by gaining the ability to easily monitor server capacity and identify the cause of failure issues. Empowered the business to quickly launch new in-app content and new function for services-such as LINE LIVE-without additional development by upgrading from MySQL Community Edition to MySQL Enterprise Edition. Improved the continuity of business operations by providing real-time visibility of the performance and availability of database and applications with MySQL Enterprise Edition and enabling IT staff to resolve failure issues 10x faster. Increased the overall operating efficiency by 20% by leveraging MySQL Enterprise Monitor and MySQL Query Analyzer to proactively identify problems even before they become critical. Improved services by using MySQL Enterprise Edition to replicate and recover data from multiple data sources-including external partners for LINE Family Apps-to a single slave database with no impact on normal business activity. Shortened data backup time from one day to just a few hours and saved significant time and resources by removing complicated recovery procedures with MySQL Enterprise Backup function. Reduced the burden on the database team to manage a vast number of servers across the company by gaining access to Oracle Premier Support for Software-which includes consulting support for performance tuning-with some of the most trusted and competent MySQL support engineers in the country. Enabled the business to run large-scale online events, such as live programs with superstars and celebrities, by demonstrating the required performance and scalability to process increasing volume of user query and access volume, thanks to the scalability of MySQL Enterprise Edition. Enhanced data security and supported future expansion in fast-growing business areas, such as Fintech and artificial intelligence, by using transparent data encryption and digital signatures features of MySQL Enterprise Edition to protect sensitive data. LINE purchased MySQL Enterprise Edition through Oracle Partner NEC Corp.
"The transition to MySQL Enterprise Edition was easy and straightforward. 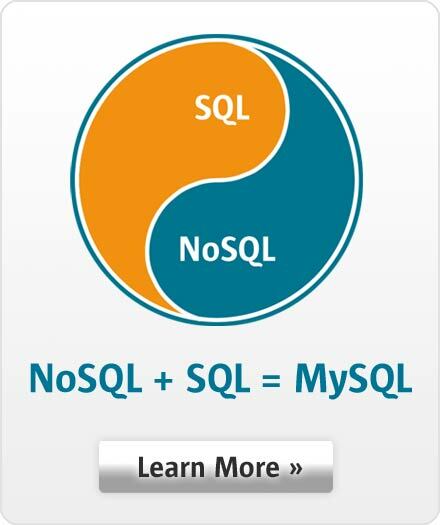 We only needed to change the binary of MySQL server but not the data. This allowed us to complete the process without affecting our business activities", Kitagawa said.